Sonic Mania released almost a year ago now. The game found success going back to its roots with classic and wistful pixel-art, exciting music, and speed. Now, since the release of Sonic Mania Plus, they have found even more success. The official Sonic the Hedgehog Twitter announced yesterday that they have received a 90 Metascore on Nintendo Switch. 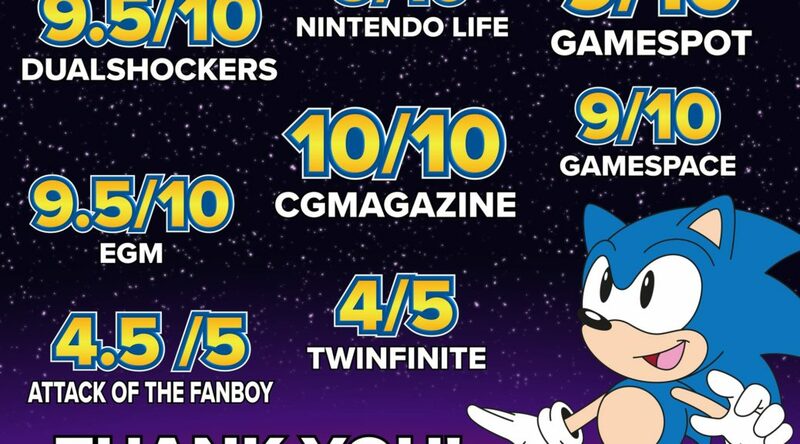 With a 90 Metascore on Nintendo Switch, Sonic Mania Plus is now the highest-rated Sonic game in 25 years. This makes it the highest Sonic game in 25 years. After decades of trying to live up to its origins, Sonic developers may have finally found their stride. What do you think? Was going back to their roots the answer the Sonic community was looking for?